This simple, reduced-carb recipe is a quick and diet-friendly treat that satisfies your cookie cravings without increasing your waistline. 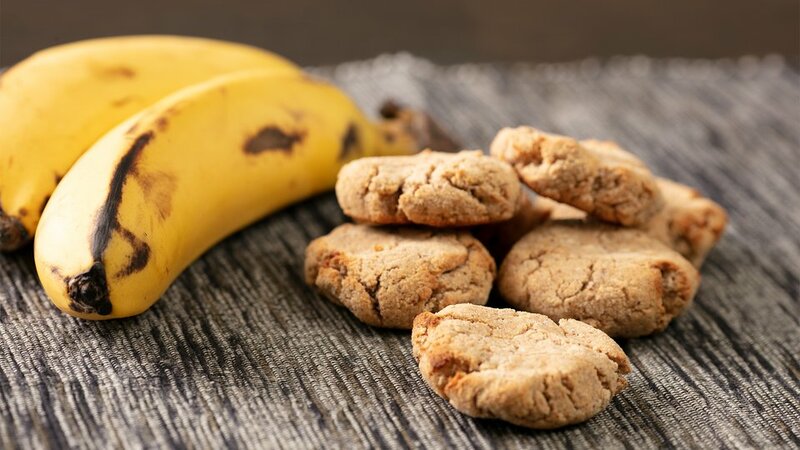 Made from natural, healthy ingredients that are high in fiber and lower in carbs, these cookies are a delicious post-workout treat or a great high-energy snack on the go. Combine the coconut flour and banana in a medium mixing bowl. In a small bowl, combine the syrup and almond butter and melt in the microwave. Mix the liquid ingredients into the coconut flour and banana mixture. Form the mixture into balls and place on a lined cookie sheet. Press the balls flat and bake for 10-12 minutes until golden.